Or maybe they are embarrassing? Well *I* lol’ed massively earlier when I cleaned out my last remaining crap from my parents’ house. After 7 years I still had had stuff at theirs that I clearly hadn’t missed, so mum had asked me to make space. I guess sometimes the things that they say about German’s are true! YES I WAS A DAVID HASSELHOFF FAN! I looooooved him!! God, thats so embarrassing to admit, but man, he was such a hit back then when I was like… 6?… He had sung on the Berlin Wall and was a fittie in Baywatch and such a hero in Knight Rider. Haha, can I please blame my brother for the embarrassing fandom? He was an even bigger fan!! 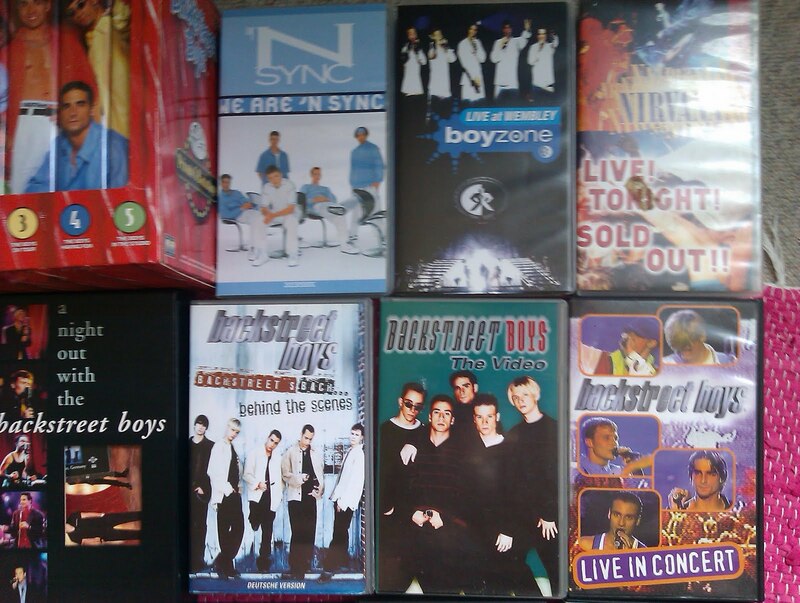 I was clearly also a massive boyband fan (but for some reason Nirvana is in the mix too!) what with Backstreet Boys (the replacement for my loss of Take That) and NSync and even Boyzone (don’t even REMEMBER liking them lol). I’m totally holding on to these (well my parents are). 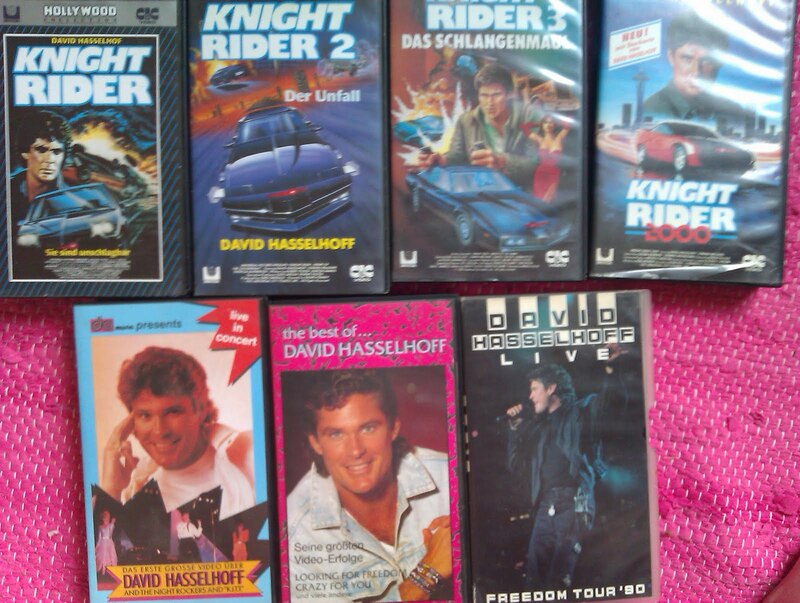 You never know, maybe at some point in my life I will buy a VCR again (probably not) and watch these again!! Or sell them and they’ll be rarities or something haha! Have you got things that you liked in your childhood that are massively epic/embarrassing? NOOOO WAYYY!!! i saw them live when they were supporting Take That in 1995! NO judgement at all haha LOVE IT!! ok spice girl i meant!